Instant Multi-Channel Playout for news, live shows, live production broadcasts, studio screens and video walls. 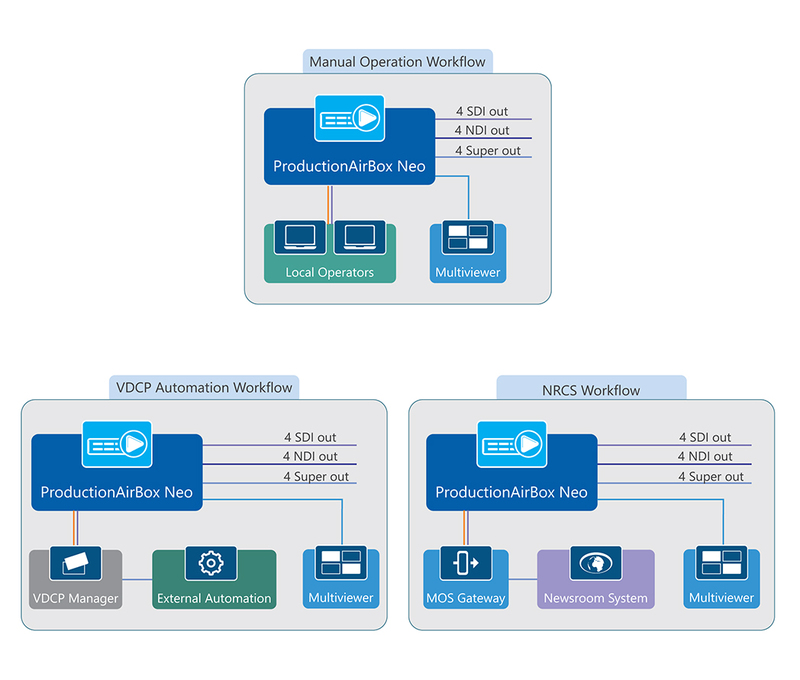 ProductionAirBox Neo is designed to meet the high reliability requirements of broadcast playout. For live productions, any changes to the playlistduring on-air session are possible! There are no locked clips. Every clip in the playlist can be trimmed or repositioned. Moreover, playout position can be changed on-the-fly with commands like next, jump or shuttle. Such changes are performed seamlessly without stopping current playout session. Compatible with a vast majority of video compressions: MPEG2, HDV, DV, AVC/H.264, HAVC/H.265, AVC-Intra, DVCPro HD, DVCPro 50, DVCPro, Apple ProRes, DNxHD and etc. 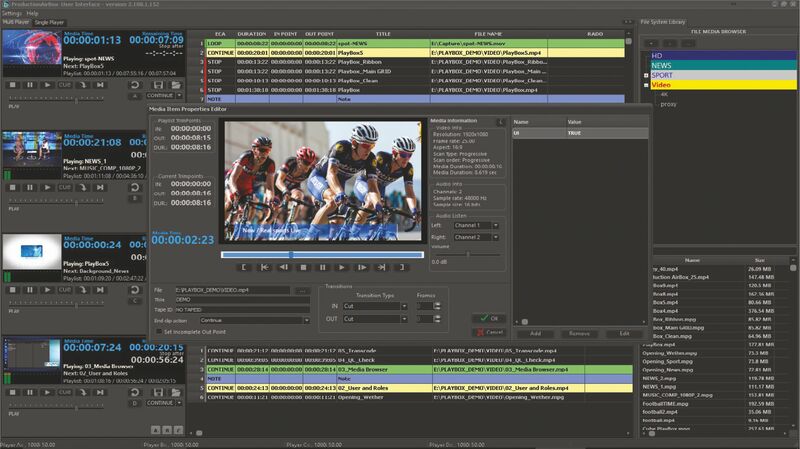 Supports variety of media containers: MPEG TS/PS, AVI, DV, MXF, QuickTime, GXF, LXF and etc.